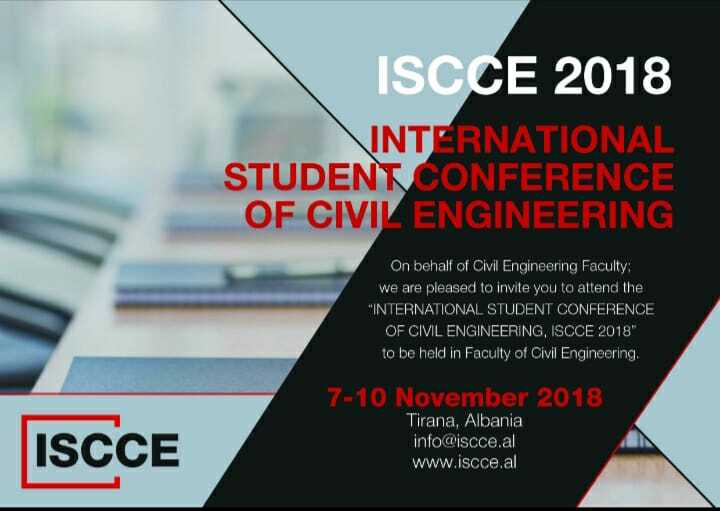 On behalf of Faculty of Civil Engineering; we are pleased to invite you to attend the “ INTERNATIONAL STUDENT CONFERENCE OF CIVIL ENGINEERING, ISCCE 2018” to be held in Faculty of Civil Engineering, Tirana, Albania, on 7-10 November 2018. By taking part in ISCCE activities students can exchange opinions and experience, and discover new possibilities to understand and handle engineering problems or situations. Most important however is the opportunity to get known to and share different cultures, having interesting excursions and establishing personal friendships, also useful in future working life.